the flak variant looks more like an Urban Combat Vehicle or IFV. what are the specs on these? 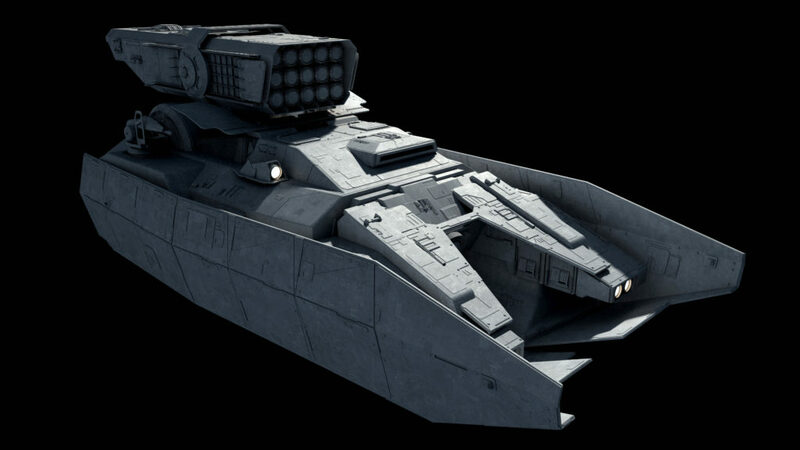 I was thinking about a idea of the Flame tank variant for the broadsword that replace the main cannon with a large flamethrower and the troop compartment for flamethrower fuel. Is this a good idea or not? Or just incendiary rockets like the Rooskies eventually replaced their flamethrowers with. That just sounds too low-tech for me. I’m picturing something like a turret-mounted heat ray ala the Martians in War of the Worlds (the old school version), incinerating people, melting buildings (the ones that don’t spontaneously combust), that kind of thing. 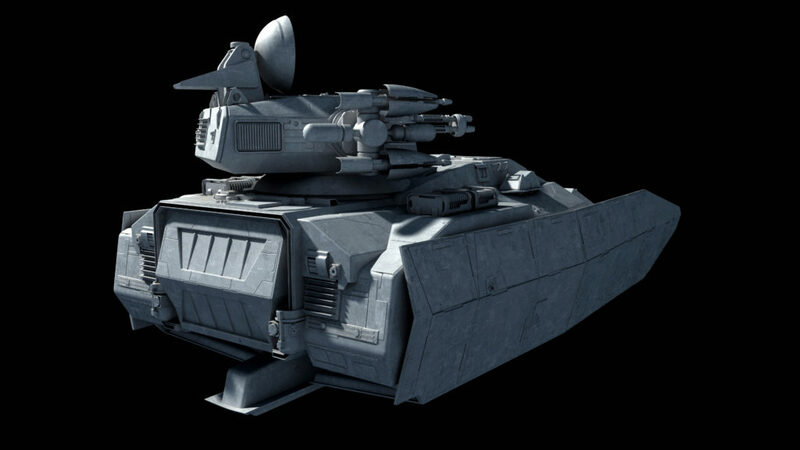 So, an LAAT/i compound laser turret. Something like that, but on a wider focus, so it has an area effect. Stay with me… Stay with me… Giant. Magnifying. Glass. why not a plasma thrower. I doubt it would be physics-friendly but not much less than how it’s portrayed in most of sci-fi (bolts encased in a magically self-sustaining energy field, often travelling at subsonic speeds that don’t seem to be affected by gravity etc etc…). Or a larger version of an ion disruptor. Plasma Thowers already exist in star wars anyway they fire explosive bolts of pure plasma, nasty weapons. that Gatling blaster might as well be a flamethrower in terms of firepower. a constant stream of plasma bolts at what 6000 rpm? Nah. Martians have a monopoly on those. Fun idea though. Can the artillery variant fire when it’s not aiming up basically like a normal turret?. What’s the variant with the disc used for? Disc? The one with a sensor dish is a 3 barreled gatling variant for anti-aircraft work. Can the missile variant aim up and down or is it stuck that way?. Also in the standard Broadsword variant is there a turret hatch from which the commander can stand out sort of like a real world tank?. And last question what is the crew size of a Broadsword and what is the role of each crew member?. also excellent for Urban Combat and Close Fire Support. 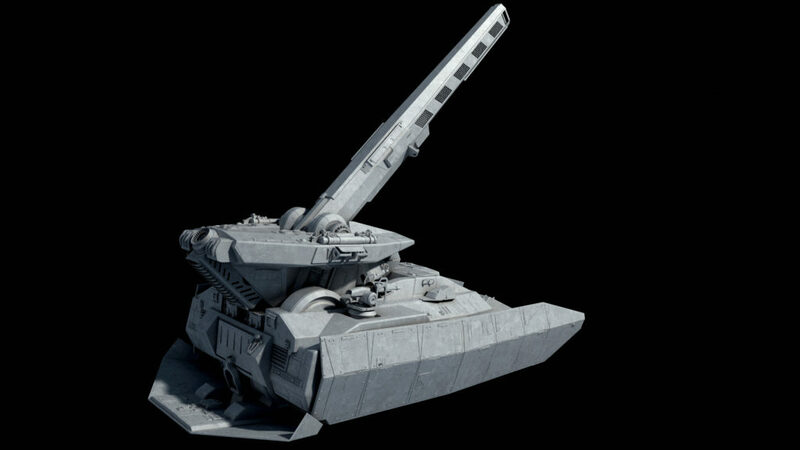 So the Broadsword is more of a Main Battle Tank equivalent, with the Saber in the role of the AT-ST as an anti-personnel tank and the Scythe being the tank version of an AT-AT? Sabre:AT-ST is a good comparison. The other vehicles aren’t direct analogues. Broadsword and Scythe sort of bookend the AT-AT in firepower and capacity. The Scythe is a lot more powerful than an AT-AT, but the AT-AT is more powerful than a Broadsword. It is great to see these variants be made Fractal although it would be extra nice to also see the APC and Main battle tank variants be made. You’ve already got the Scythe for all your MBT needs, and the APC version would just be a turret-less variant. The versions mentioned above have already been discussed elsewhere on this site. The Scythe is a heavy tank which focus more on damage and amour at a cost the speed (Even though they are still fast since they are repulsor-craft and they focus more on deflector shields than armour.) plus they are too big to be a MBT. The whole point of the MBT is that of a universal tank to phase out heavy/medium/light tanks, or infantry/cruiser tanks by the British system. 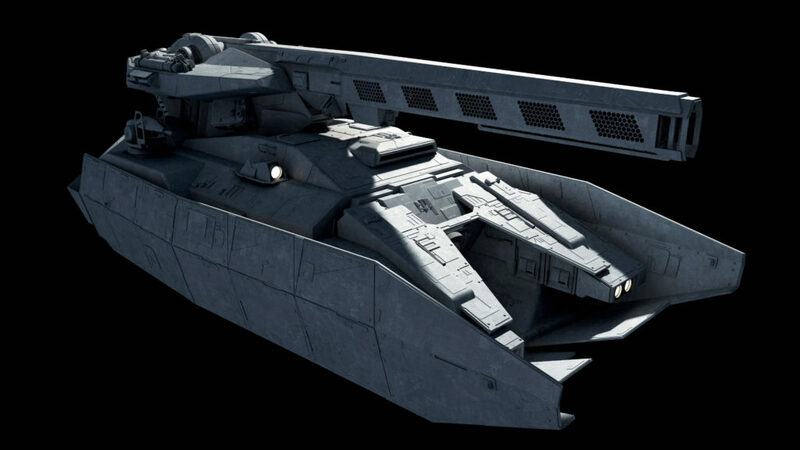 Most of the disadvantages of heavy tanks IRL don’t apply to repulsorlift platforms, so we wouldn’t really get a convergence toward an MBT in Star Wars. If anything in the SWU, walkers fill the Infantry Tank role while repulsorlift vehicles act as cruiser tanks. However, do we really know enough about the relative power vs. mass limitations to say that something like the Scythe wouldn’t have it’s own issues with speed and maneuverability relative to something smaller like the Broadsword or the Saber? Pod racers shouldn’t be used as a baseline for maneuverability, as the crowd appeal seems to be from using deliberately outdated hardware with air-scoop turbines rather than a modern reactionless thruster. My argument was never that smaller platforms don’t have a niche, but rather that the constraints that eventually killed heavy tank development IRL don’t apply to the Scythe and thus there is no convergence in AFV development towards a universal MBT. If the mission set is reconnaissance sweeps, counter-insurgency, or supply convoy protection, by all means bring along the smaller stuff. This gives an explanation sort of how it repulsor lift tech works. This does not really settle very much of what we’re talking about. Does the effect require continuous power? Are there any directional limitations in its use? What are the limits to altitude change if any within the gravity well? It basically says they are ubiquitous and then some fluff. Well thought out, as always. I took a slightly different path and, rather than having ground vehicles be less expensive, the designers instead decided to trade the maneuverability of a starfighter / transport for heavy armor and weaponry and very powerful shields. Of course, I’m reverse engineering for a D6 game, and relative cost isn’t particularly inspiring when it comes to writing a story arc for a gaming campaign. Very nice, indeed. I notice all of these either minimize or completely remove the prominent drum on the rear deck of the standard Broadsword. Is there any way to do the same with the original? Being able to fire effectively to the rear has definite tactical advantages for mobile warfare. True, but an Earthbound AFV could take several seconds to traverse its hull towards a newly detected threat vector. A flying repulsortank could presumably make that rotation in a fraction of that time. That doesn’t work for something like covering fire while making a tactical withdrawal. Unless the thing can fly sideways, it will have to stop, turn 90 degrees and sit stationary (making itself an easier target). For the close-in role, the dual anti-personnel blasters on the side of the turret are nice, but they definitely have a significant blind zone on the other side of the turret. How about a CROWS system on top for all-around coverage, and an extra rotating set of sensors for the vehicle commander? In all fairness, it sort of looks that way anyway with the capacitor on the back deck. And I expect you’re right about the walkers; probably some sort of droid brain handles the actual details of taking the steps, with a human pilot providing directional input and some degree of oversight. What would the traverse on that railgun be? Is it meant to engage larger airborne targets? On a chassis this size, zero traverse. The vehicle does the traversing. I’ve already had to shorten the barrel compared to the turreted version mounted on a Scythe. Thats pretty cool, awesome work as always! So now we’ve filled the 2S3 Akatsiya, 2K22 Tunguska, and the TOS-1 slots in CRMcNeill’s Red Imperial org chart. All this mobile artillery needs some dedicated reloading vehicles, eh? Fantastic job as always, Fractal. Why is there any standard-issue planetary assault package at all? No planet is the same, and the detachment you’d land to take an agricultural outpost of 4 million souls is going to bear no resemblance to the force send to assault a densely urbanized world of 70 billion. Because military units are, by nature, modular. Most populated worlds are likely to require multiple corps to fully subjugate, and if less than a corps is needed, the corps itself can be broken down into sub-units – divisions, regiments, etc. – as needed. I always thought that a good SWU analog for paratroopers ought to be massed jumptrooper/jetpack assault. That’s the direction I took in my AU, anyhow. I’m don’t get the reference. Did you mean ARC Troopers? I’m thinking something a bit larger, in battalion or regimental strength, ala a Ranger Regiment or an Airborne Division. There’s absolutely a place for Recon and other Special Forces units, but this would be more of a rapid assault unit, hitting a target hard and fast and holding it until relieved by heavier units. Recon units generally try to stay out of harm’s way and report back intel. Very nice. The added side guns on the refit turrets are great additions, and that arty plow/stabilizer is a smart modification to the base design that seems to be missing from a lot of canon hover-arty. Hey maybe you could use that first main cannon on a future capital ship rather than the usual turbolasers! 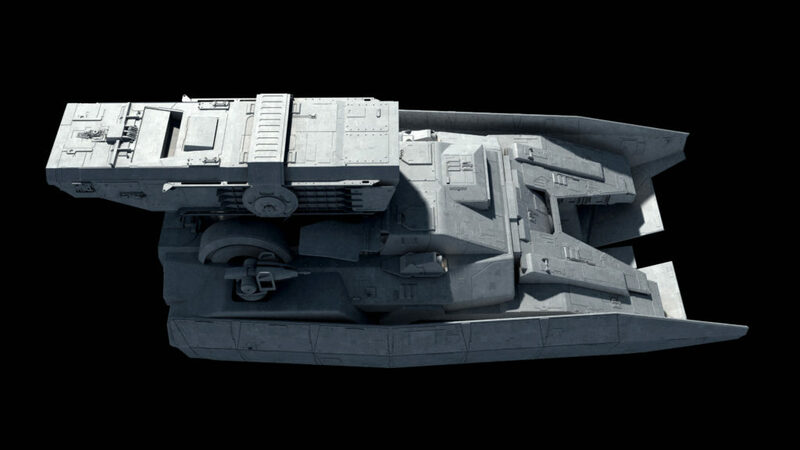 I think that would give the ship a very unique feel! The whole point of the mass driver railgun is to lob ballistic artillery projectiles in an indirect arc. You don’t need that in space. 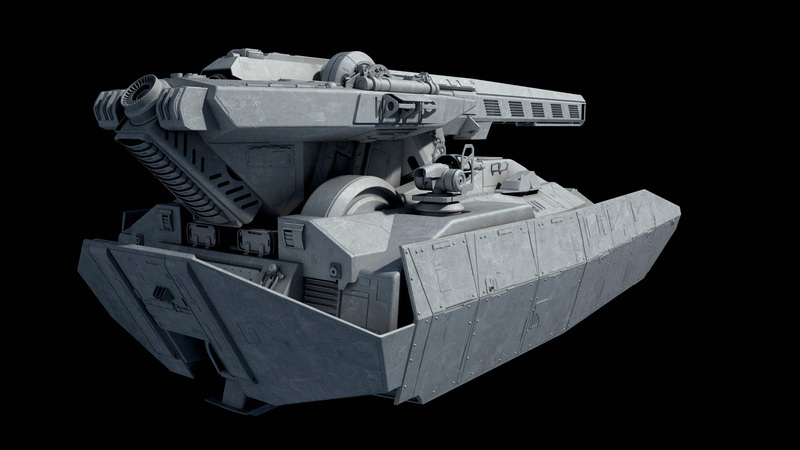 Putting something like this on a Star Destroyer would also sacrifice the ability to actually hit maneuvering targets at typical combat ranges due to the much slower projectile. I was unaware of what the gun was, I just thought it looks pretty damn cool and would look cool on the batteries of a warship. I dunno, I’d imagine projectiles is actually faster than blaster/laser fire but the only reason it isn’t wide spread is because of the volume the ammunition would take compare to blaster gas storage and overall firepower. I believe a common interpretation of turbolasers is that the visible component is a tracer that doesn’t go lightspeed but there is a much faster non visible destructive component – this is why you see shield flashes or explosions before the tracer actually connects. Maybe there ought to be a link to the SWTC somewhere on this page to get everyone on the same page. I see, yes this would make sense. electrothermal cannons ( plasma driven projectiles ). 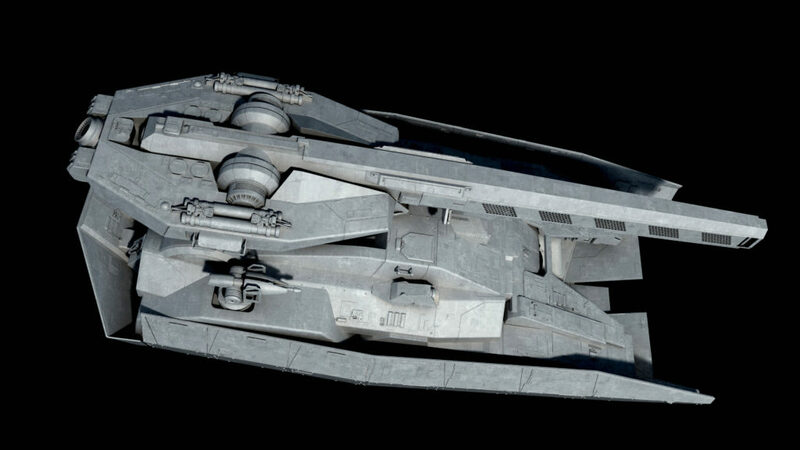 And star wars ships like the Keldabe were fitted with mass driver cannons, for anti-capital ship combat. First off, awesome. Second, do you ever sleep?! haha.